Kim Kardashian has apologized for offending some with her heavily bronzed look. Kim Kardashian says she meant no harm. Last week, Kardashian shared the first promotional image for KKW Beauty on social media. It showed the E! reality star looking heavily bronzed, and some users accused her of "wearing blackface." 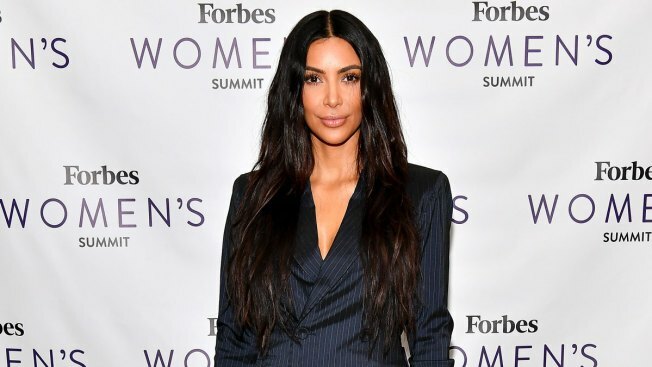 Kardashian, who worked with photographer Ben Hasset and makeup artist Mario Dedivanovic, addressed the controversy directly in an interview with The New York Times published Monday. "I would obviously never want to offend anyone," said Kardashian, whose children with Kanye West are biracial. "I used an amazing photographer and a team of people. I was really tan when we shot the images, and it might be that the contrast was off. But I showed the image to many people, to many in the business. No one brought that to our attention. No one mentioned it." "Of course, I have the utmost respect for why people might feel the way they did. But we made the necessary changes to that photo and the rest of the photos. We saw the problem, and we adapted and changed right away," the reality star continued. "Definitely I have learned from it."